Win a Nature Inspired Mini Journal in the Great Online Scavenger Hunt! It's Day 20 of Annie Kelleher's Great Online Scavenger Hunt and you have another chance to win one of my creations. 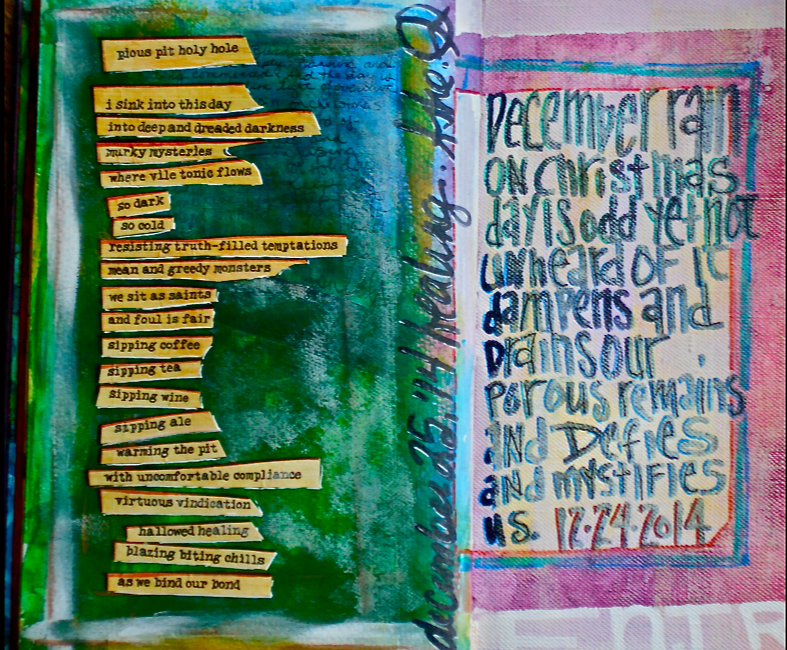 This time, a mixed media, Nature inspired mini journal. 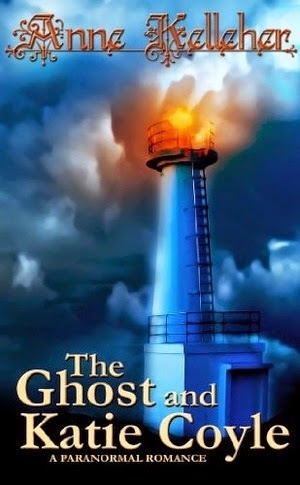 If you're following Annie's Hunt, you know you have to hunt for "clues," in the form of a line or quote from The Ghost and Katie Coyle. These "clues" are hiding in various sites, and you can easily find them on Annie's site. Today's "clue," #20, is from chapter 20 of The Ghost and Katie Coyle and you'll discover it in my collection of Journals and Notebooks. Should be pretty easy to find. Go look! When you find that quote/"clue", copy it, and email it to KatieCoyleScavengerHunt@gmail.com and you'll be entered in the drawing to win one of my mini journals at the close of The Hunt! And … if you discover every "clue" you'll be eligible for the final drawing to win a Kindle Paperwhite eReader! But for this moment, go check out those Journals , and when you find the clue, email it to KatieCoyleScavengerHunt@gmail.com, and you'll be entered in the drawing to win your very own Nature inspired mini journal! 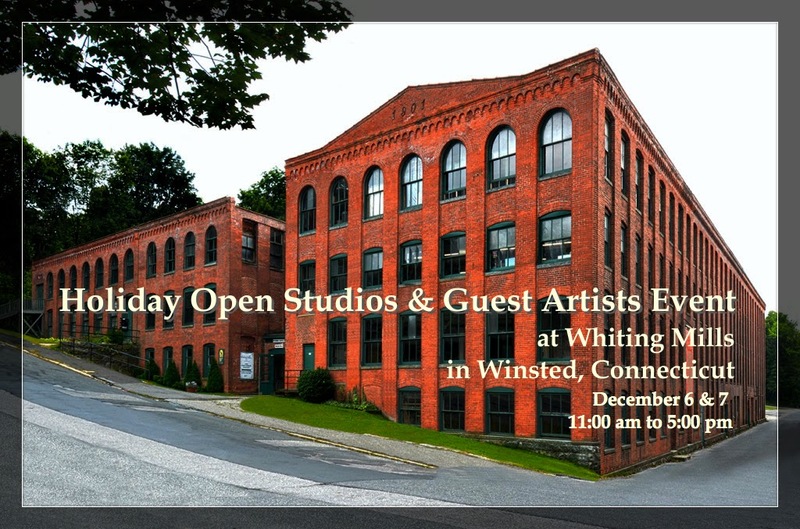 It's hard to believe that this is the weekend of our Holiday Open Studios & Guest Artists Event at Whiting Mills in Winsted, Connecticut. Once again, tempus fugit! Now, I know many of you loyal visitors here at the blog are out of my region, yet I am excited for this weekend event, so I beg your forgiveness if this post is of no interest to you. Then again, you may be wishing to transport yourself to my little corner of the world by the end of this entry. I feel blessed to have studio space within the walls of this historic building ... home to gifted and inspired artists, craftspeople, photographers, woodworkers, unique studios and shops ~ makers and doers of every kind! And this weekend is one of two weekends a year we all join forces to swing our doors wide and open our hearts in unison to our community ~ near and far. You can learn more about Whiting Mills and "visit" many of the studios here. As for me, I'll be having a PWYW (Pay What You Wish) weekend in my studio. All my creations ~ craft, art and herbal ~ are priced by the buyer, according to the value they place on the item and in a way that fits into their budget. In other words, make an offer and I'll accept it. This is a fun experiment for me. I've done this with various services over the years, but not with product. I'm looking forward to it! I'll be serving nettle leaf infusion shots and doing some mixed media "metallic" art demonstrations on Saturday ... and serving Holy Basil shots and opening my heART journals (for all to see) on Sunday. Not only that, I have two inspired makers joining me in my studio! 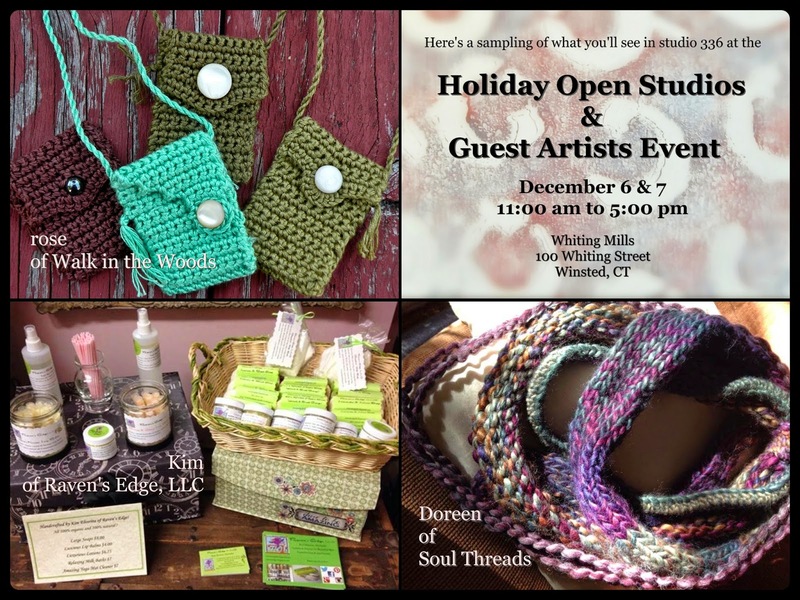 Doreen Breen of Soul Threads will be sharing space on both Saturday and Sunday. She's a maker of unique, one of a kind wearable art. 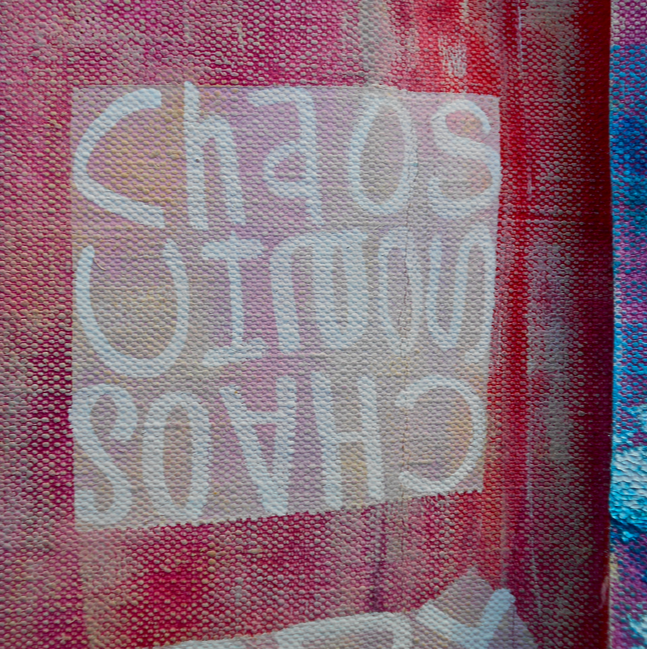 She felts and dyes, and knits and sews, and often combines her many skills into a single piece. So, so, so cool! I have a few of her pieces and love them all! You can see some of her creations here. Kim Elovirta of Raven's Edge, LLC will be joining us on Saturday to share her herbal-based lotions and potions for beautiful skin. You know I make my own such things, but I also make purchases from Kim. Her lotions are fantastic and her lavender lime soap supplements my own homemade soap coffers. In fact, it was Kim who taught me to make my own soap, so many years ago! 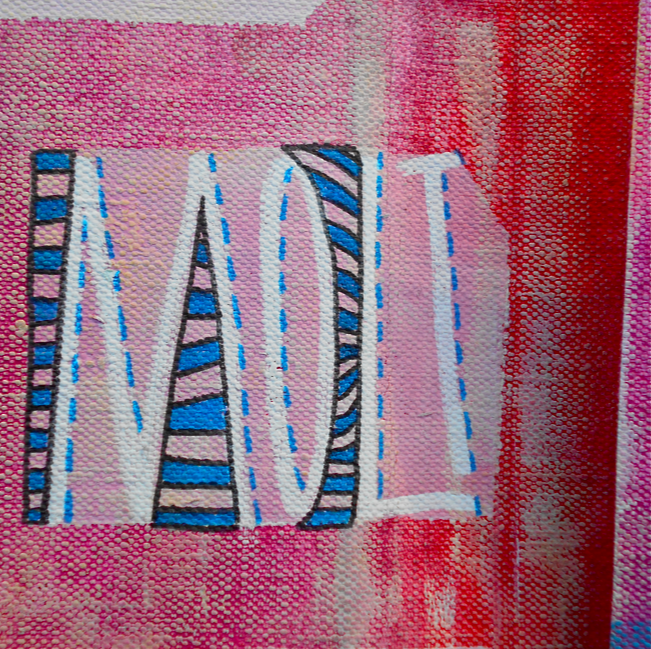 You can follow her blog here and peruse and purchase her creations here! 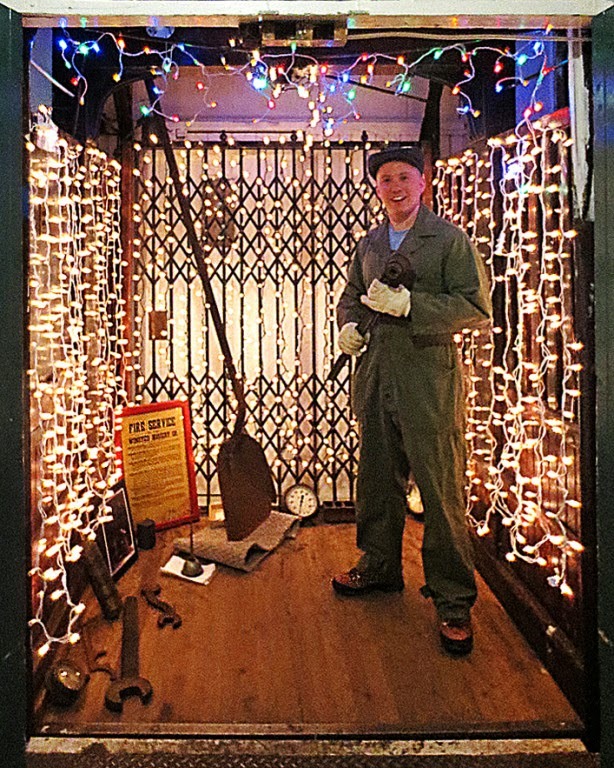 Along with all the resident talents, there will be other visiting artists, crafters, authors and more throughout the studios and the building ... and I always encourage visitors to be sure to take a ride on the historic and delightfully decked-out freight elevator that is operated by the charming and talented Steven Silvester for these events. 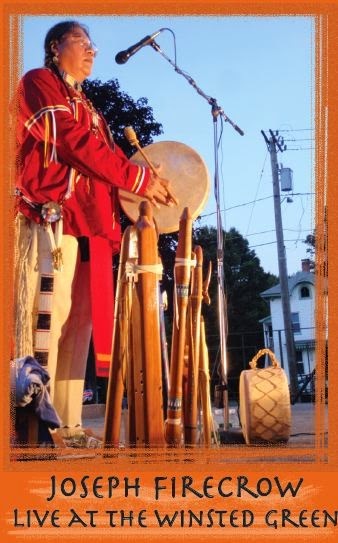 Plus, there will be musical entertainment, including one of my favored musicians and storytellers, the inspired Joseph FireCrow, who will be with us both days. What a gift! So yeah ... today I'm making all the final preparations for this wonderful event. An event that nurtures community, our local economy and so much more. If you're anywhere near the northwest hills of Connecticut, join us! And if you're not, tell me how much you wish you were! Win a Handmade Spirit Pouch in the Great Online Scavenger Hunt! One of these handmade Spirit Pouches is up for grabs in the Great Online Scavenger Hunt giveaway hosted by Annie Kelleher. So, yeah ~ welcome to "Day Two" of the Scavenger Hunt! Each day, for 22 days, if you're following Annie's Hunt, you have a chance to hunt for "clues," in the form of a line or quote from The Ghost and Katie Coyle. These "clues" will be hiding in various sites, all made clear on Annie's site. You can join anytime throughout the 22-day hunt ~ so come on, join us! My "clue," the SECOND clue, is from chapter one and you'll discover in my collection of Spirit Pouches. Should be pretty easy to find. Go look! When you find that quote/"clue", copy it, and email it to KatieCoyleScavengerHunt@gmail.com and you'll be entered in the drawing to win one of these handmade lovelies at the close of The Hunt! And … if you're diligent in your hunt and enter for every day's hunt "clue", you'll be eligible for the final, "Day 22" drawing to win a Kindle Paperwhite eReader! 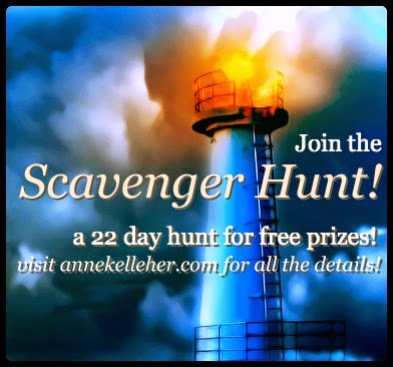 So visit Anne Kelleher's website every day to see which website holds the next "clue" to hunt down and submit your entry for that day's prize! But for this moment, go check out those Spirit Pouches, and when you find the clue, email it to KatieCoyleScavengerHunt@gmail.com, and you'll be entered in the drawing to win your very own Spirit Pouch! Best wishes! And happy reading!